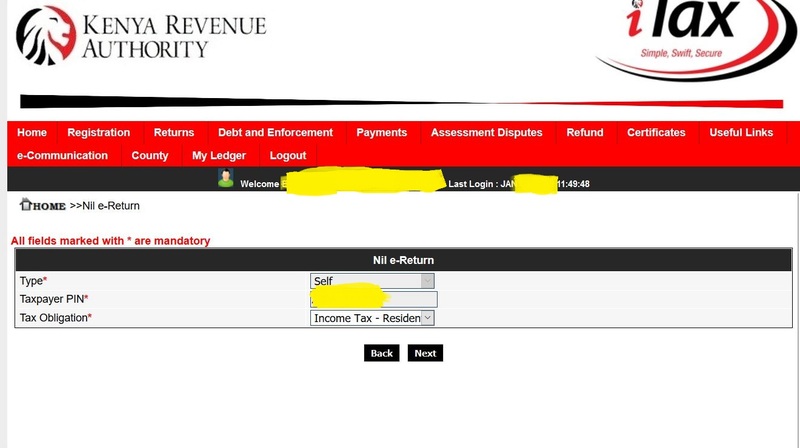 Below is a guide on how campus students should file KRA Income Tax returns as Nil if unemployed. If you are studying and employed, you should file your income returns to avoid fines and penalties. 1 Should Students File KRA Income Tax Returns? Should Students File KRA Income Tax Returns? Yes, everyone with a KRA pin should file returns. Tax returns are only filed for the year ended. 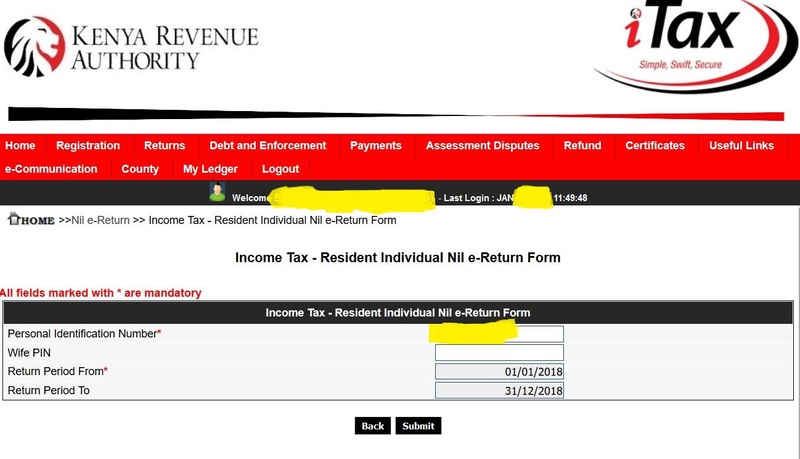 For example, if you are filing your returns in 2019, they should be from 2018 January to 2018 December as provided in the tutorials below. Failure to file returns attracts a penalty of Ksh. 20,000 every year. It is recommended that you file tax returns in time. That is before end of June of every year. However, if there are circumstances that made you not to file tax returns in time, you can apply for a student Tax Waiver. KRA can reject or approve your tax waiver application depending on the reasons you gave. Follow the procedure below to file your returns if you are a student. Login with your KRA pin and password. You can reset your password if you have forgotten yours. It takes time for the reset password instructions to arrive in your email. If you have forgotten your email, scan your ID and send to KRA via email (callcentre@kra.go.ke), kra Facebook page inbox or twitter inbox. (Use twitter or Facebook for a quick response). then your level of studies (Certificate, Diploma, Degree, Masters, PHD e.tc). On the top of the website select Returns, then File Nil Returns. This section will auto refill itself. The year should be from 1st of January of the previous year (for example: 01/01/2018 ) to 31 of December (For example: 31/12/2018). Once your click submit the message in step 6 will display. Be sure to download the KRA acknowledgement receipt as you may need it in future. PS: Are you interested in making a side income while studying? You can sell your class notes, themes, revision papers, House Plans, templates, guides, tutorials e.t.c on Muthurwa.com and get paid via mpesa within 24 hours.